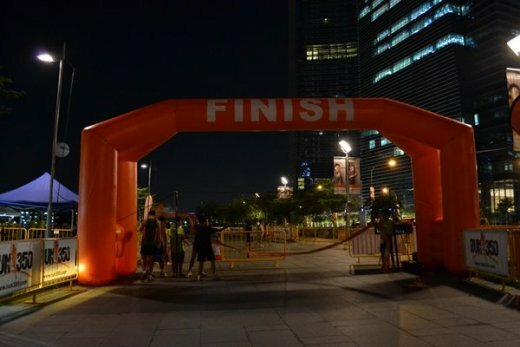 Today it was time for a small "warm-up" race since the Sundown marathon is approaching fast : the so-called "run 350" race organized by NTUC. 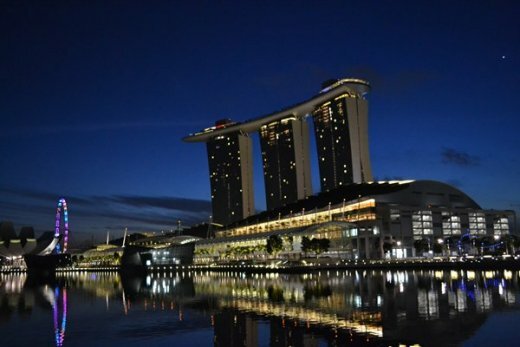 For the non Singaporeans, NTUC is the only (pro-government) trade union of Singapore, after the left-wing one has collapsed with the arrest of it’s leaders during the government’s operation Coldstore in 1963. In the same time, NTUC runs a supermarket chain where I buy my groceries. Not sure if organizing the race is more linked to the upcoming general election this year or to carbon dioxide emissions; or maybe both. In any case, some government party VIP’s came to flag off the race, and we were told our objective was to bring down the emissions to 350 from currently 392. As they speaker didn’t mention any units or what the measure actually meant, I looked it up here: http://co2now.org/. Basically, the objective is to decrease the concentration of CO2 to 350 parts-per-million (ppm); which is the upper safety level, and was breached back in 1985. In any case, I added to the carbon dioxide emissions taking a taxi to the departure area. 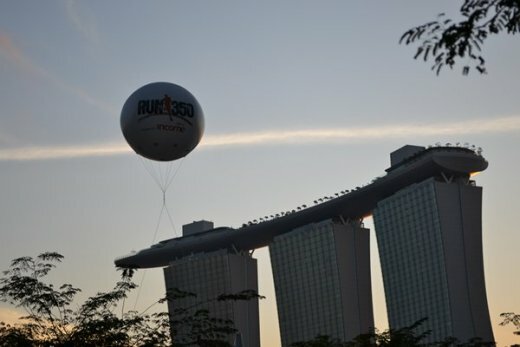 Now the race is over, I wonder if actually the late departure time of 7.30am was intentional, so that every participant can arrive with the public transport (first train service at 6am on Sundays). Good idea, but with a big downside as it turned out. As usual, I arrived way too early. 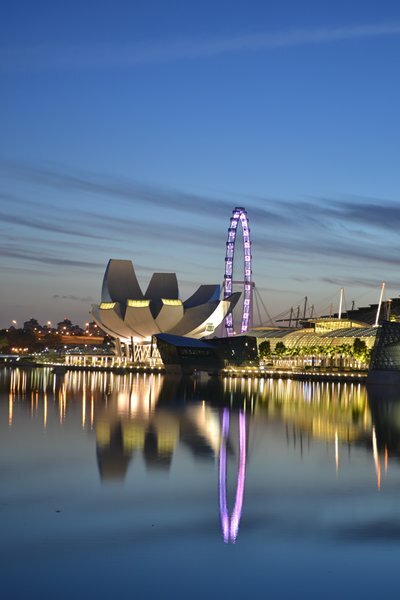 Enough time to take some stunning views of the skyline: the newly built Marina Bay Sands hotel & casino, the Singapore Arts museum, the flyer (Singapore’s version of London eye) and the other towers surrounding Marina bay. And to discuss with an "uncle" who seemed to have spent the night at the place under his big umbrella and "philosophed" around about the race, the universe, the government, the upcoming end of the world and how it is all linked together. 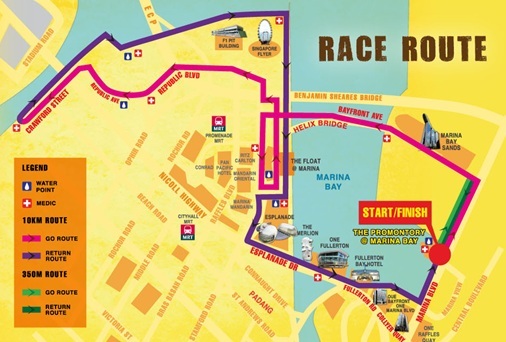 The race map was leading all around the Marina bay area, past all these newly built landmarks, promising a nice race. The only thing I worried about was the late departure time, since at 7.30am the sun is out of bed already and from 8am it can get really hot on a non-cloudy day. It was a non-cloudy day. 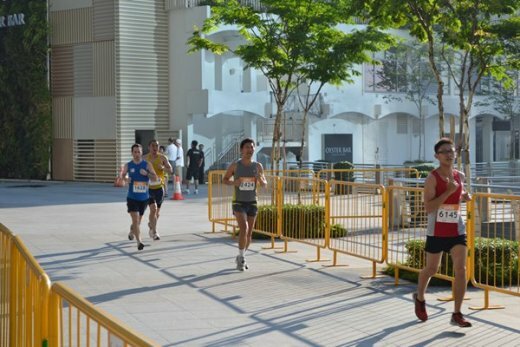 When the gun went off, the lead pack immediately sprinted off, at 17km/h or more. Trying not to be carried away, i started much slower, but discovered at km 1 that it is still way too fast with 4:45mn / km. My original objective was to run at 5mn/km. However, as I wasn’t out of breath, I decided to keep the pace and see what happens. At about kilometer 7; when the winner crossed the finish line with a big smile, the sun became as predicted very hot. I am sure I was not the only one to curse the organizers for the late departure timing. Another interesting organizing idea was to flag off the ladies’ about 10 minutes after the men’s departure. In theory a good plan. 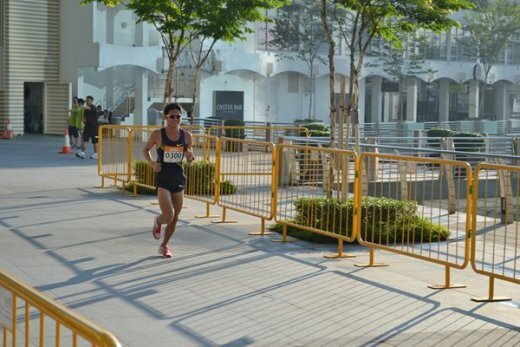 In practice, since the departure usually takes a while, the ladies’ top runners bumped almost immediately after flag-off in the bulk of the men’s slow runners, forcing them to slalom and waste precious time. Something to improve for the next time! Despite the sun and thanks to the water points every 2km; I forced myself a bit and reached the finish line with 48mn30sec; about 1 minute faster then planned. A good morning, good race, good timing and some nice photos. I took the train back home to cut carbone dioxide emissions. New year, new ... family member !